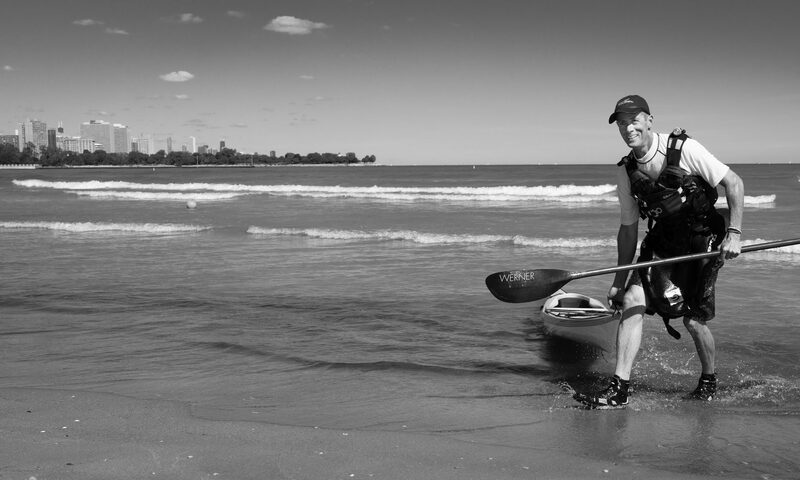 The water here in the US Midwest is crunchy this time of year, making paddling a bit challenging. Sure, it’s ridiculously cold, but unfortunately here in the Chicago area we don’t have enough snow to break out the snowshoes or cross country skis and too much for anything other than a fat bike. For now, that leaves indoor workouts. Fortunately one of the best pieces of equipment in your local fitness center is probably also one of the most lightly used in the room. 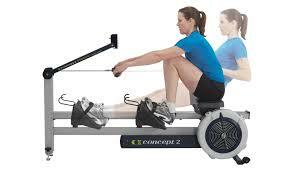 The Concept 2 rower, or my new favorite flavor, the Water Rower, engages more than 80% of the body’s muscles, working them in a similar fashion to paddling. Roughly half the work should come from the upper body and half from the lower body. Focus on using both rather than relying on the upper body. Set the foot straps up so they come across your foot right at the base of your toes. If you’re using the Concept 2, avoid the temptation to set the damper too high. Most people set it at the highest setting (10) because they’re not rowing properly and lower setting don’t feel challenging enough. A setting between 3-5 simulates the resistance of water and puts much less stress on the upper body while creating a smoother stroke. Think Legs, Core, Arms…Arms, Core, Legs. When you start your drive, move the legs first. As the legs begin to straighten, engage the lats and lean the core back slightly, followed by pulling with the arms. Keep the wrists straight through the pull and have your hands meet the body right at the base of your rib cage. Begin your recovery in reverse: Straighten the arms out first. As they begin to reach your knees lean forward while keeping the core tight, and lastly bend the knees to finish. Concept 2 has produced a few excellent videos and descriptions on proper form. Check them out and get the most from your indoor row. Previous PostPrevious Power to the Paddle Companion DVD is here!